Discounted bundle of three sewing patterns to create a fabulous look. You get patterns for a long line cardigan, knit pant and knit top. This discounted three-pattern bundle allows you to create the gorgeous Como look at home. 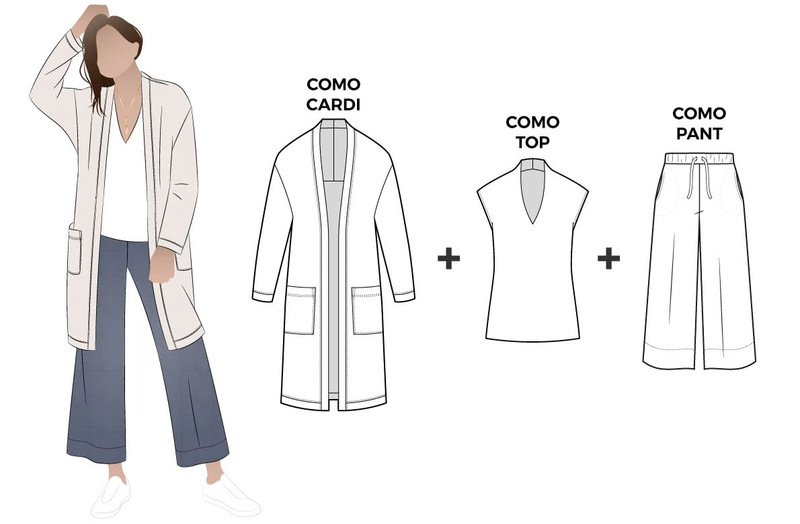 Included in the bundle is the Como Knit Cardi, Como Knit Pant and Como Knit Top. You will love the versatile Como Knit Top sewing pattern. 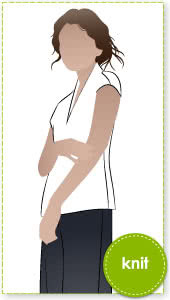 The flattering "V" neckline hugs the neck and is designed to stand at the back. The pattern was designed to have some shape over the body, but not too much, and the shoulder line is extended to cover the shoulders. This long-line fashionable Como Knit Cardi sewing pattern is a must have addition to your wardrobe. It has a cleverly designed all-in-one dropped shoulder line and a front band that hugs the neckline. This cardigan is finished off with two lovely large patch pockets. 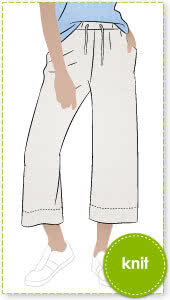 This fabulous, on-trend Como Knit Pant sewing pattern features the new wide leg; not too wide, just perfect. The flat elastic waist and in-seam pockets look great and make the pant so comfortable to wear. Make them with a full-length leg or crop them to what length you prefer.